Lately I’ve been focusing on darker colors and I do think home design is trending toward deeper, richer hues. However I will always love creamy white living spaces, whether contemporary or shabby chic style. When decorating in creamy white tones, make your living space warm and inviting with the use of texture – like the vintage worn doors in this room by designer Margaret Naeve. White looks crisp and clean and always looks fantastic in rooms with plenty of natural light. Soft curtains and a unique textured ceiling add texture to this living room by Jeffrey Dungan. 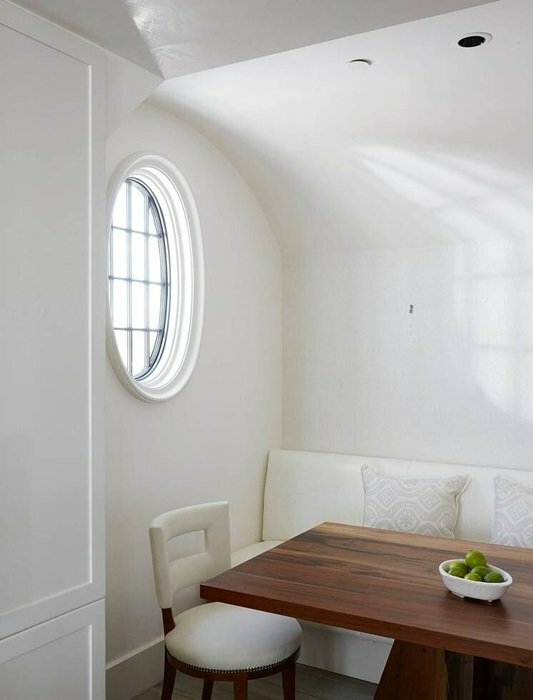 A cute porthole window sheds light into a minimalist style dining room, also designed by Jeffrey Dungan. 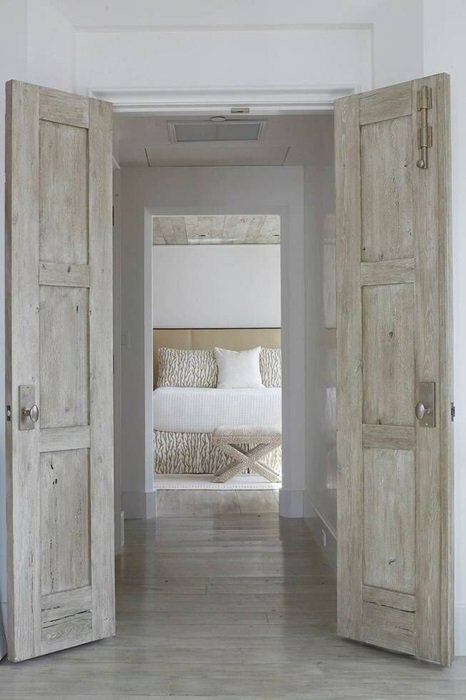 Also from Jeffrey, weathered doors lead to a beautiful, neutral bedroom in shades of white, cream, and tan. Creamy white pairs with warm wood in this romantic glam bedroom by KAA Design. Love the chandelier and tufted headboard! When you have a creamy white room, your eye easily flows throughout the space. Add just a touch of color with paintings and pillows to give the eye something to focus on – or a large chandelier! 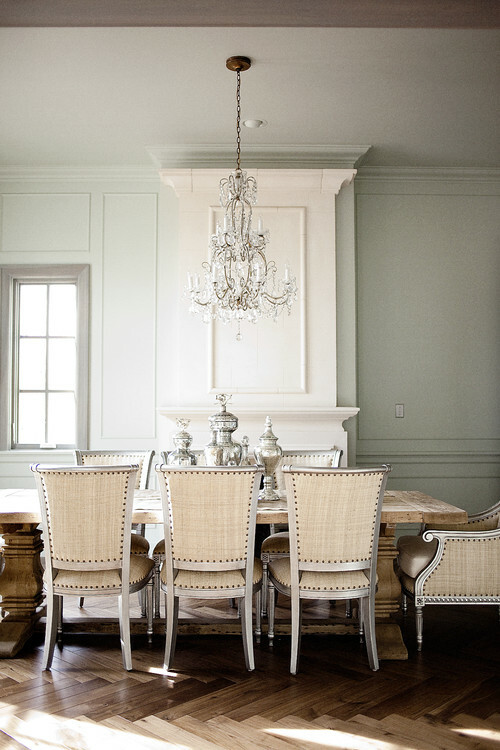 Light gray partners with creamy white in a Gustavian style dining room. I think Gustavian interiors always have a bit of romance to them. 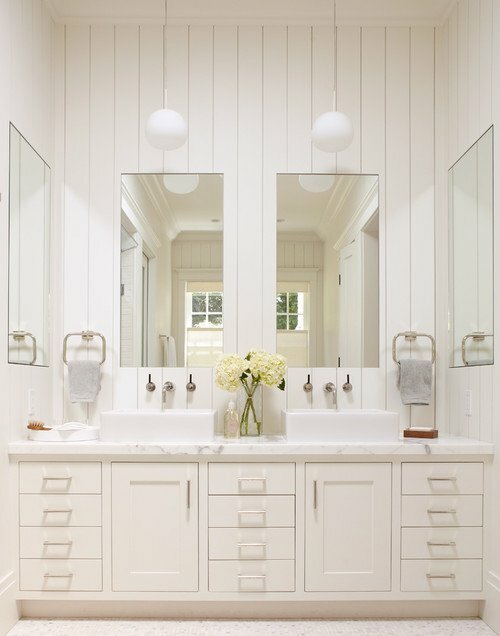 White bathrooms are easy on the eyes in the early morning. I prefer to wake up slowly so I avoid using bright colors in my bathrooms. I like the monochromatic charm of this room. Here’s another by Jeffrey Dungan. 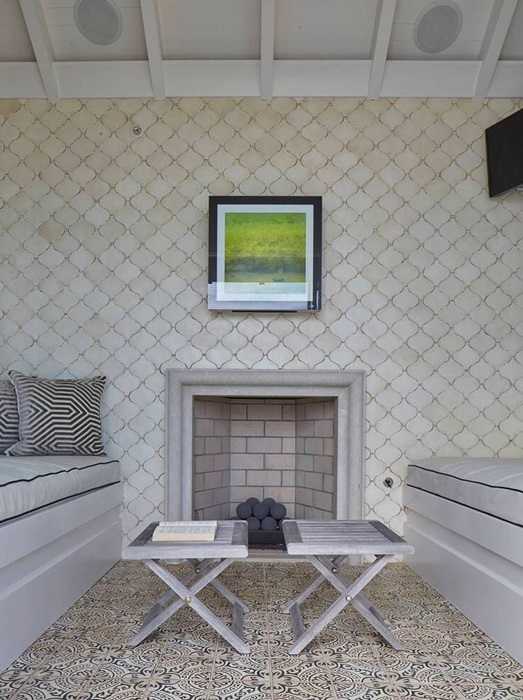 This one is influenced by Scandinavian design and enjoys creamy white patterned wallpaper. 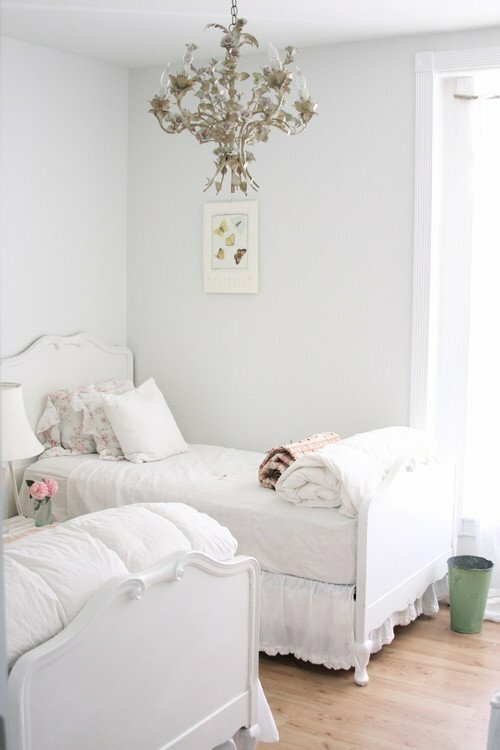 Even a little girls bedroom looks dreamy dressed in white! 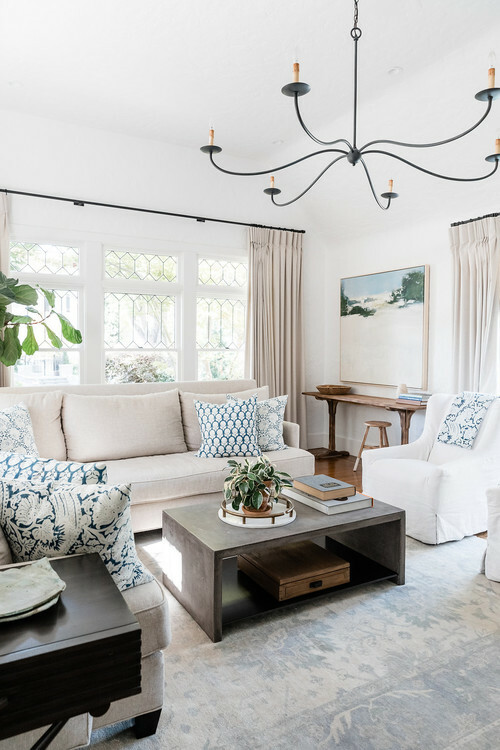 I think people are starting to crave color in their homes, but these inspiration photos show that creamy white rooms are still pretty and desirable. I agree, I prefer wood and color in my décor, but I certainly can appreciate the warmth and beauty these cream and white rooms offer. Each and everyone of these rooms you posted gave a feeling of warmth without the addition of color. When I look at the rooms you post, I also enjoy seeing how the furniture is staged, how the accents are placed and any other idea I can glean for use in my own home. Thanks for the ideas and for sharing such beautiful rooms, I always look forward to receiving your email. Enjoy your day! I love the creamy white in small areas, especially bedrooms and bathrooms, but in large open rooms with lots of light and high ceilings, my old eyes only register harshness and glare. I do appreciate the variety of looks and designs that you post and learn something valuable from each and every one. I always look forward to your blog – you’re one of my top two favorites. Yep. That’s a LARGE chandelier. What is it that makes our hearts skip a beat at romantic white??? Not one of my rooms are all white but, when i see them they are so dreamy that i want to paint everything. Although these rooms are beautiful and I loved the chandeliers especially the one in the little girls bedroom. I just can’t see the practicality of trying to keep clean. Like [email protected] road said my husband too would be using sheets underneath him and that certainly takes away from what your aiming for. I love the look of white rooms and you chose some fabulous ones. I do think, however, that it is the room, house, and climate that dictate if it can handle all white. I believe all white works best in a warm climate. When I had a condo down south, it was fabulous with mostly white with touches of black and crystal. Now I live in a place that gets a lot of snow, so I switch my color scheme in my kitchen for the seasons. I love having it mostly whites in the summer, but then go deeper colors in winter. In any season, however, my large living room feels cold without color. Love your blog!